BI Dashboards for Shipping Can Simplify Your Business! Home > Business Intelligence Software for Shipping! Business Intelligence for Shipping: The Smart Choice! If you work in the shipping and distribution industry, you know how complicated life can be! 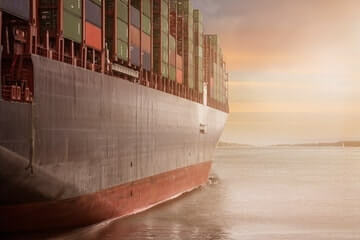 The industry has come under increasing scrutiny as international trade, national trade, security concerns and other factors impact the shipping enterprise in ports, distribution hubs, and entry points around the world. Global demand for transportation services is strong, and the deregulated market means tougher competition for every business in the shipping market. Today, the shipping enterprise must work harder to acquire and retain clients and to meet industry and government standards and regulation. Given this market reality, Business Intelligence for Shipping is more important than ever! Using business intelligence tool, shipping companies, distribution networks, carriers, and third party logistics (3PL) companies can accelerate the speed of goods distribution and effectively use and analyze sales data for competitive advantage. Users can also leverage simple, practical analytics to create powerful reports and monitor critical business issues like safety, regulatory compliance, and quality and environmental protection measures. Contact Us today to find out how Analytics for Shipping can help you simplify your decisions and your planning process.